Aumakua is a Naturopathic Clinic that is focused on digestive health. We know that chasing symptoms does not heal patients in the long term. 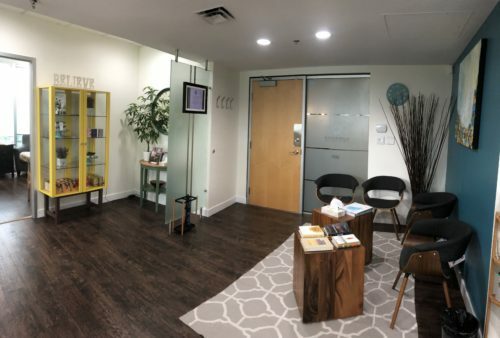 We are a unique clinic because we have a proven method that starts with identifying the underlying obstacles and implementing a carefully tailored treatment plan that resolves symptoms by correcting a weak foundation. The 3-hour lactulose breath test is a foundational tool that assesses the precise bacterial group and quantity of these bacteria. As you will learn in the following text, there are two different gases that are tested for and these gases indicate the bacterial group that is present, each requiring a unique treatment approach. We have designed a treatment plan that includes a SIBO nutritional protocol and professional grade supplements that are perfectly formulated to eradicate bacteria and heal the intestinal tract. SIBO is so common, that up to 84% of patients who are currently suffering from IBS have SIBO, but have not received a proper diagnosis. There any many advantages to treating SIBO beyond starting to absorb the food you are eating, removal of gas, bloating and cramping. Patients with allergies, skin disorders, and even mood disorders have improved with our treatment. We are confident that many people who are currently experiencing these or similar conditions have some level of SIBO to address. Let’s start with the definition of small intestinal bacterial overgrowth (SIBO). It is defined as excessive bacteria in the small intestine, which is the longest section of the digestive tract and is designed to have relatively low levels of bacteria. This is where your food mixes with digestive juices, and the bacteria actually helps digest foods and absorb nutrients into the bloodstream. When you have SIBO, the bacteria take over the small intestine and completely interrupts the digestive process. The bacteria can actually consume the nutrients from your food, leaving you depleted from essential fat-soluble vitamins and iron. As the bacteria digest the nutrients, they produce gases that build up in your intestines and lead to bloating and other symptoms commonly associated with IBS. Bacterial overgrowth produces excess quantities of Hydrogen and/or Methane gas that is diffused into the blood and then through to the lungs for expiration. Because these gases are not produced by humans but are the metabolic byproducts of carbohydrates produced by intestinal bacteria, we can use a SIBO breath test to determine which gases are present. We start with an initial intake where we go through your health history and test you for SIBO. Once test results have come back, we get busy implementing our treatment protocol that combines nutritional interventions and professional grade supplements. You can expect to stay on a treatment plan for about six to twelve months, depending on the severity of your SIBO. Why is treating SIBO so important? Diagnosing and treating SIBO is crucial because it is the root cause of many conditions that are mislabeled and as a result, mistreated. SIBO hijacks your digestive system and can lead to fatigue, skin conditions, mood and nervous system imbalances, and a wide array of digestive problems. We use a breath test that specifies the presence of Hydrogen and Methane gases. This breath test is essential to diagnosing SIBO as it will show our Doctors which gases are present and how severe the overgrowth is. What is the treatment for SIBO? 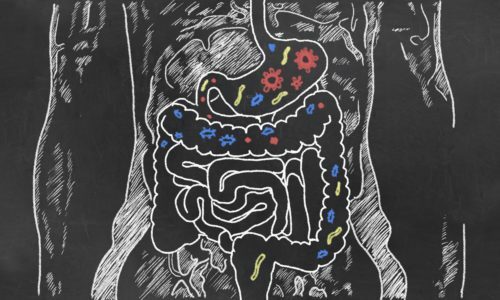 Your treatment plan will include a healing dietary protocol, professional grade supplementation, and tinctures that work synergistically to restore proper gut flora. Everything is timed for full eradication and rebalancing. What foods should be avoided for SIBO? Foods to be avoided are dependant on whether you are hydrogen or methane dominant. You will be guided through these foods within the duration of your treatment. SIBO testing is an effective tool to assess your digestive health, which is at the core of your overall physical state. If you are currently dealing with unresolved symptoms, or those of IBS, being tested for SIBO is the best approach to healing the root cause. If you are tired of chasing your signs and symptoms and want to treat the root cause, please reach out to us. Our passionate, committed team of Naturopathic Doctors are experts at providing proven solutions for anyone currently suffering from digestive disorders.